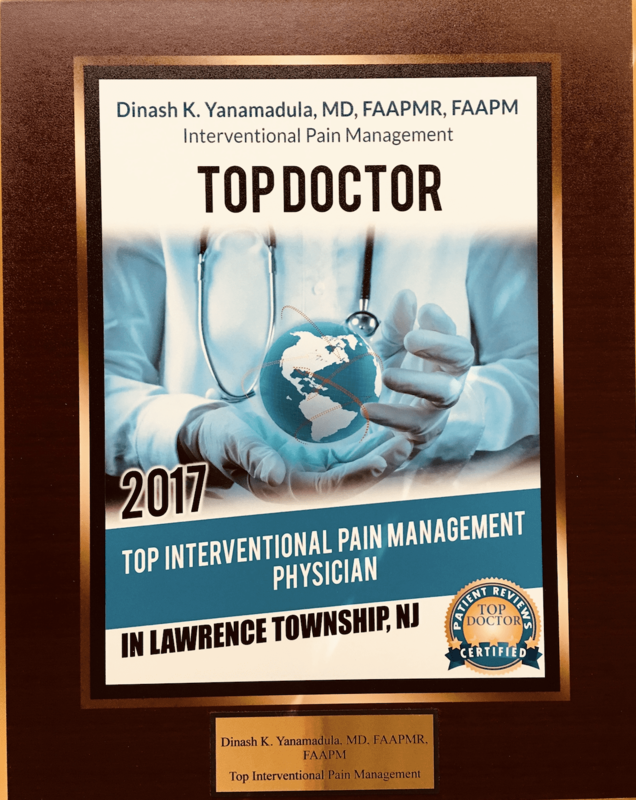 Dr. Yanamadula has been named a 2017 and 2018 TOP INTERVENTIONAL PAIN MANAGEMENT DOCTOR in the Top Doctor Awards Magazine! "I trust him thoroughly and value his opinion without question." "100% I trust Dr. Yanamadula. I would recommend him to my family and close friends." "I felt so secure with choosing Dr. Y. to help me because he was so knowledgeable." "Very good experience! Dr. Yanamadula is very patient and explains everything in detail"
"He's an excellent Doctor and treats everyone like a person not just another patient." "After 6 weeks my condition improved and I credit Dr Yanamadula for my recovery." Dinash Yanamadula, M.D., F.A.A.P.M.R., F.A.A.P.M.., is board certified in Pain Management and Physical Medicine and Rehabilitation, and he is fellowship trained in Interventional Pain Management and Sports Medicine. 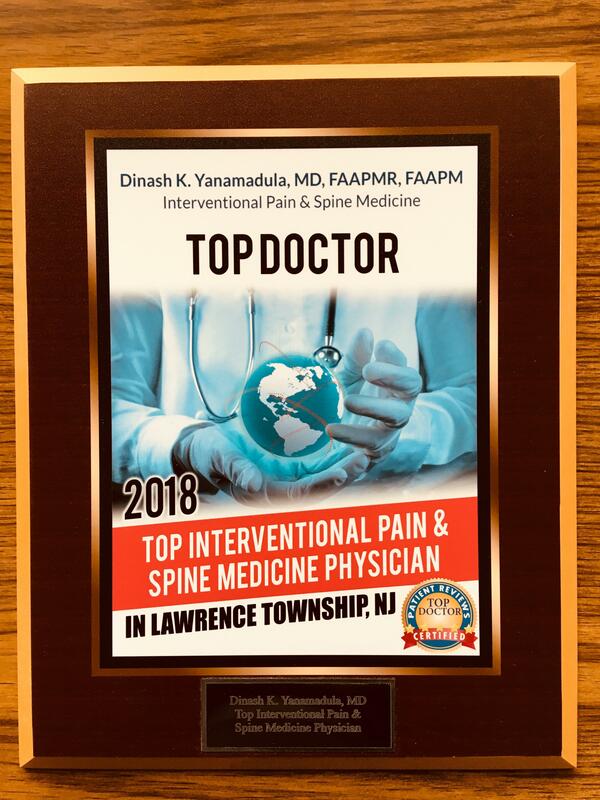 At his practice, the Princeton Pain and Spine Institute, located in Lawrenceville, New Jersey, Dr. Yanamadula helps his patients from throughout Mercer County to find relief from the pain associated with accident related injury, shingles, migraines, issues with the spine, neck, back, and other joints. He completed his internship at Temple University/Frankford Hospital and completed a residency in Physical Medicine and Rehabilitation at the prestigious University of Chicago/Schwab Rehabilitation Hospital. He furthered his education to pursue a fellowship in Interventional Pain Management and Sports Medicine at Comprehensive Spine and Sports Medicine of Hawaii, where he served as Chief Fellow. Dr. Yanamadula’s multidisciplinary approach caters to each individual in the treatment of acute and chronic pain. He has successfully treated thousands of patients, ridding them of their pain, without having to resort to surgery. Dr. Yanamadula’s special interests are in the area of low back pain, neck pain, nerve pain, and in the diagnosis and treatment of joint pain. Many different modalities are utilized at Princeton Pain and Spine Institute ranging from medication utilization to optimize pain relief, to implementing a physical therapy program tailored to the individual's condition and if those modalities are not effective than minimally invasive procedures may be used. If these treatments are not effective, Dr. Yanamadula will then make every effort to guide you in the right direction for further care. In his previous practice, Dr. Yanamadula developed a ‘Center of Excellence’ – such that his commitment to patient care and excellence in his craft as the reason that he was selected by St. Jude Medical, Neuromodulation Division, to train physicians from around the country in neuromodulation techniques. His practice was one of the three centers in Florida that were honored with this distinction. Pragmatic and Extensive Specialized Medical Training. Precise Customized Pain Treatment Plan Creation Individualized to Each Patient's Needs. Significantly Proven Non Surgical and Minimally Invasive Pain Management Outcomes in Thousands of Patients. Interactive and Accessible Patient Care and Support. Dr. Dinash Yanamadula wants you to be the healthiest you! A new, informative, and pertinent resource to those people suffering with spine and joint pain looking for answers. Dr. Yanamadula also offers office hours in Edgewater, New Jersey to accommodate North Jersey patients who live and work in that area. Telephone: 609-257-6678 for appointments and 609-512-1690 for general inquiries. Dinash Yanamadula, MD is proudly featured as the Greater Princeton Area's Ask The Doctor's Physician of the Month website. Additionally, Dr. Yanamadula answers important questions on how he proficiently treats and diagnoses low back pain in Lawrenceville, NJ and surrounding areas on page 2 of the newest edition of Greater Princeton Area's Ask The Doctor Magazine. Be sure read the article to get the answers to your important low back pain questions. 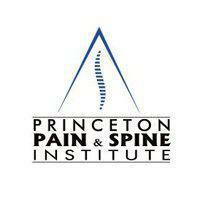 At Princeton Pain and Spine, we accept most major insurance plans. Please contact our office if you do not see your insurance provider listed. "Dr. Yanamadula was immediately compassionate and understanding. In only a few visits I was back to feeling BETTER than I was feeling." "He was clear and considerate in his plan to help my mother. I was impressed and grateful." "God Bless him. He is a little miracle worker in my opinion after dealing with this for 20 plus years. Thank you so much, Dr. Y, for giving us our life back." "Dr. Yanamadula is always genuine, understanding no matter how busy. He automatically comes up with a solution to my medical questions and concerns."